TCL has been providing control systems and specialist engineering services for rotating equipment since 1985. Control upgrades have been supplied for all types of rotating equipment, including turbines powered by steam, gas and hydroelectricity, as well as diesel and gas engines. All products are based around commercial off-the-shelf hardware, allowing the plant owner to benefit from multiple sources of spares and support. Hardware can be selected by the customer to work alongside existing systems and spares holdings. All products and services meet ISO 9001:2008, ISO 14001:2004 and OHAS 18001:2007 regulations. TCL designs and installs control systems for gas turbines used in electricity generation and mechanical drive applications. Our experience list includes most types of gas turbines such as Siemens, Rolls Royce, GE, ABB, Solar and Westinghouse. Systems supplied can be customised to the operators’ requirements in parts or all of the control system, including controls for governor fuel and turbine sequence, overspeed trip, machine monitor, generator or compressor control and protection. The TCL standard control algorithms are non-hardware specific so the client can specify their preferred platform such as Allen Bradley ControlLogix5000, Siemens S7 or Schneider Modicon. The system design includes full safety integrity level (SIL) analysis to determine all relevant functions and associated SIL levels. The safety critical functions are then designed with suitable instrumentation, wiring and software to achieve the required SIL status. TCL supplies off-engine fuel systems for liquid and gas fuelled turbines, which are designed for use in hazardous offshore conditions. Gas fuel systems are skid-mounted, with valves for gas fuel control and shut-off. The gas control valve uses an electric servo motor driving a quarter-turn ball valve. Two high-pressure shut-off valves and one vent valve are fitted, providing gas shut-off to ANSI Class V standards. For liquid fuel systems, the TCL Posiflow system has been installed at numerous onshore and offshore sites. A positive displacement pump is driven by a variable speed electric motor to control the turbine’s flow of fuel. In an offshore environment, a gas turbine often operates on gas fuel with liquid fuel as back-up. The liquid system is required to supply fuel within seconds of a gas supply failure. The Posiflow system is proven to be highly reliable in this mode of operation, preventing total platform shutdowns following a supply fault. TCL designs and supplies automatic voltage regulators (AVR) and protection equipment for generators ranging from 0.5MW to 250MW. The systems are fully configured for the specific generator parameters, with installation and commissioning provided by our specialist engineers. The company also offers design consultancy services for protection studies to determine fault levels and associated generator protection settings. TCL provides services for the control and protection of gas compressors, including surge control. Functions can be provided in a standalone controller or in the main gas turbine control system. Functions include basic surge control with compressor flow, and head for varying pressures. Corrections are made for process density by measuring gas temperature and compressor inlet pressure. TCL offers overhaul and maintenance services for gas turbine operators. Services include inspection and overhaul, onsite balancing, routine maintenance and fault finding. Our service team has a wide range of experience with many types of gas and steam turbine plants. 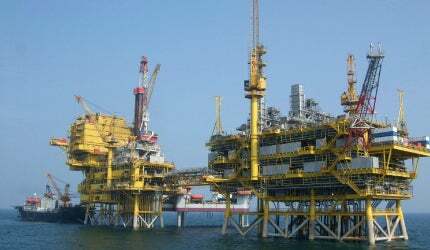 In addition, we have a number of service contracts with offshore operators. Previous experience has included onsite engine repair of aero-derivative gas turbines. Carrying out repairs onsite avoids the need to remove and ship the engine to a remote overhaul facility.